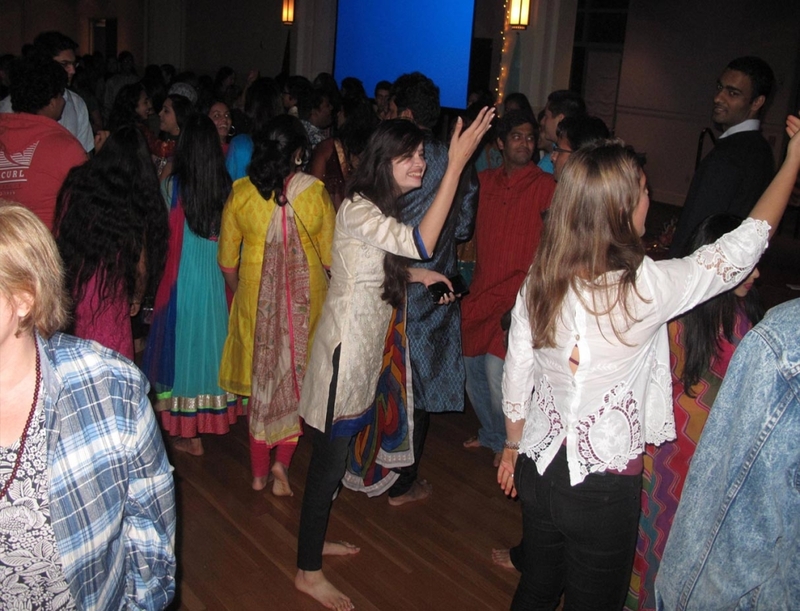 This year, as every year, the Hindu students of the Claremont Colleges organized a Diwali program at Pomona College on Sunday, November 15. Students from five undergraduate colleges and two universities came together as a group to celebrate this special festival. 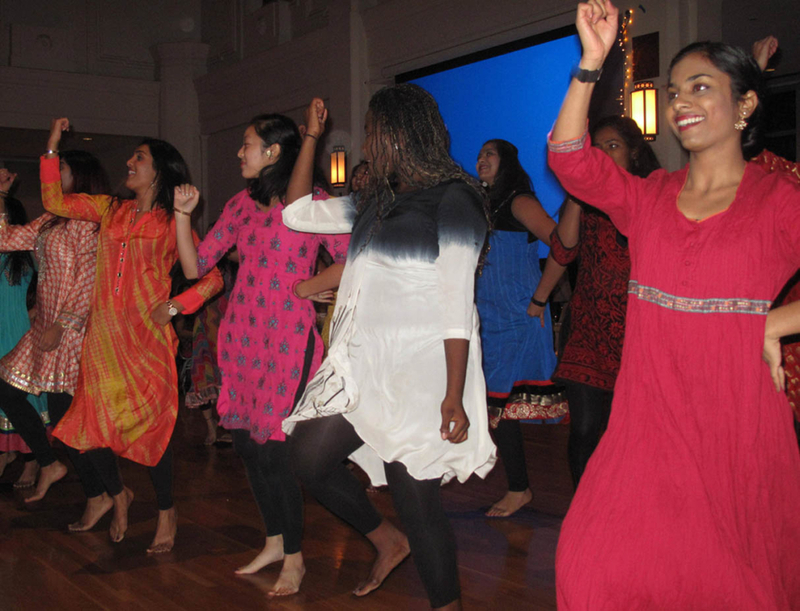 Attendees were treated to Lakshmi Puja, a catered Indian vegetarian dinner, and Bollywood dances for some added culture and entertainment. 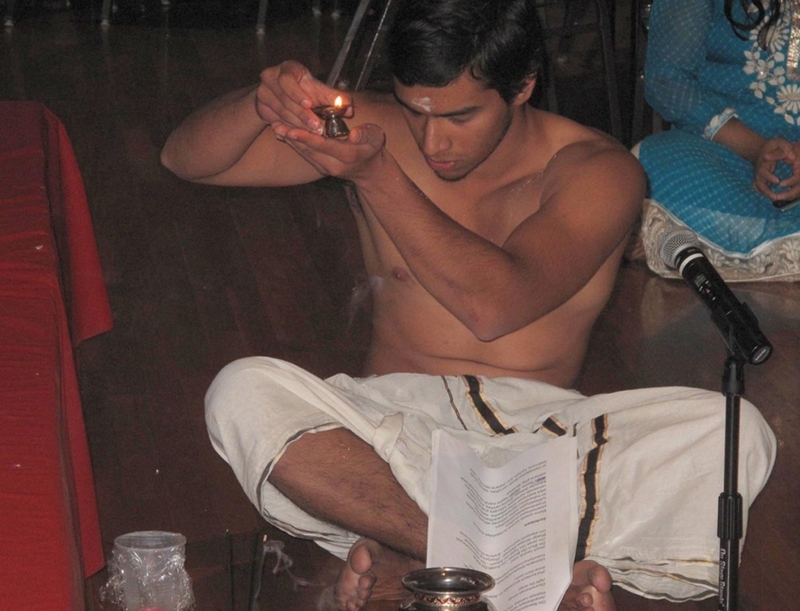 A male student acting as a Hindu priest started the evening with a 30-minute performance of Lakshmi Puja. It was a bit of déjà vu, as he also performed the puja at the celebrations last year, which were held in the same venue. Small votive statues of Ganesha, Laskshmi, and Krishna were placed on the altar and surrounded by incense, lights, flowers, and a small water pot. As he chanted mantras of Ganesha, Lakshmi, and various hymns including the Devi Suktam from the Rik and Ajur Vedas, he offered flower petals and water. 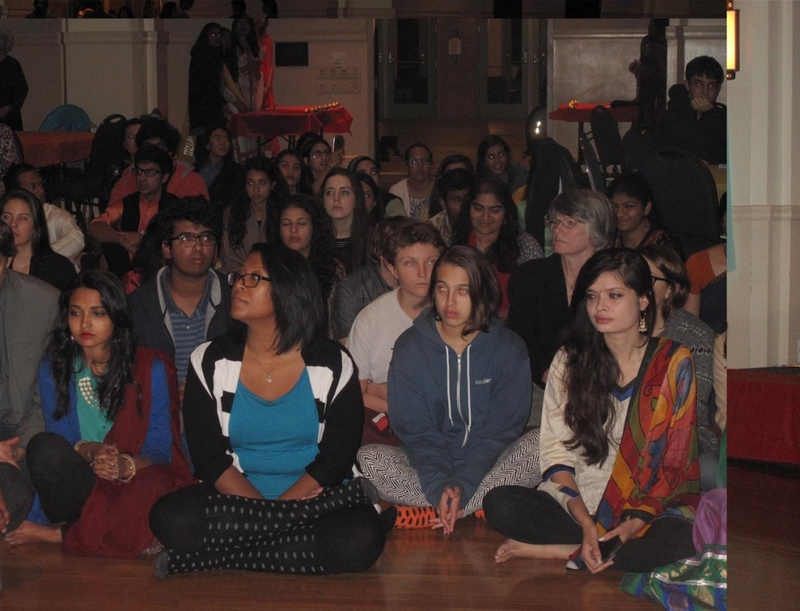 Following the puja, anaarti was offered to Lakshmi, the goddess of wealth, happiness, and prosperity; a large drop-down screen projected the text and audience members were encouraged to join the chant. The audience was filled not only with students, but also included the two chaplains from the McAlister Center for Religious Life and various staff and faculty members from the colleges. Together with my wife, Kanti, wewere thrilled to meet parents of a few Claremont students. We are so proud and grateful for the efforts of the event organizers, who worked so hard to put together such a compelling Diwali program. 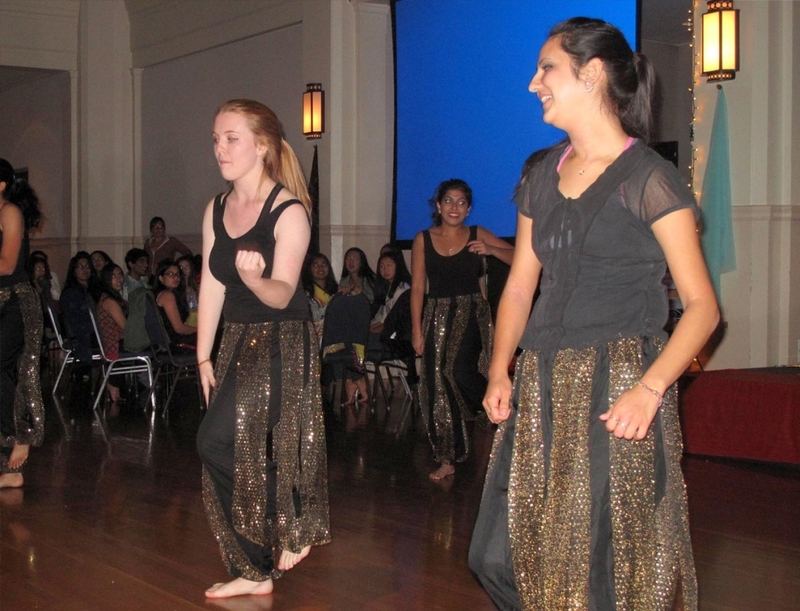 We offer our thanks, as well, to Upland’s Aroma Grill and Banquet, who provided a sumptuous Indian meal. Restaurant owner Deep Singh estimates that an astounding 450 people went through the buffet line to enjoy the delicious food. To experience such joy at such a tragic time for our world is bittersweet. It is this turmoil, though, that brings even more significance to religious and cultural education. The atmosphere of camaraderie and togetherness experienced throughout the Diwali evening was comforting. Through these experiences, we are reassured that there is hope for humanity.